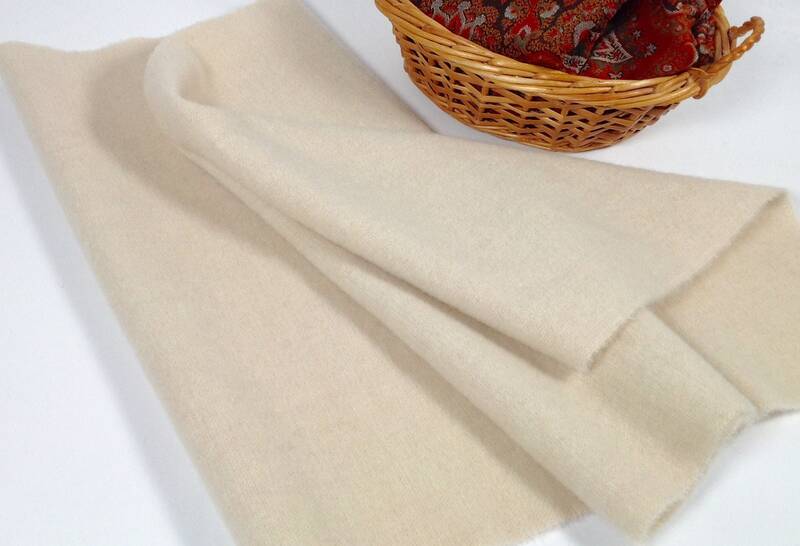 Creamy White wool, natural wool, mill dyed, 100% wool fabric. 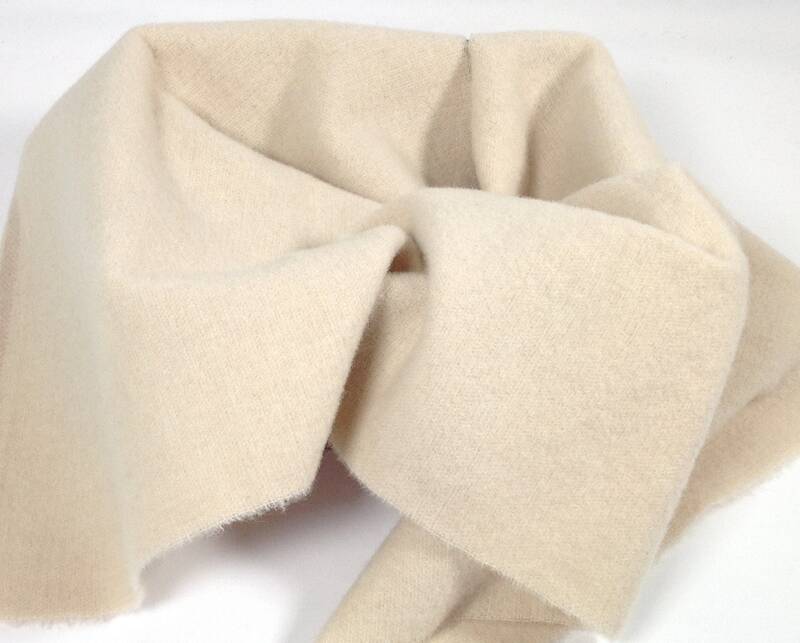 1) fat 1/4 yard measures approximately 16" x 28". 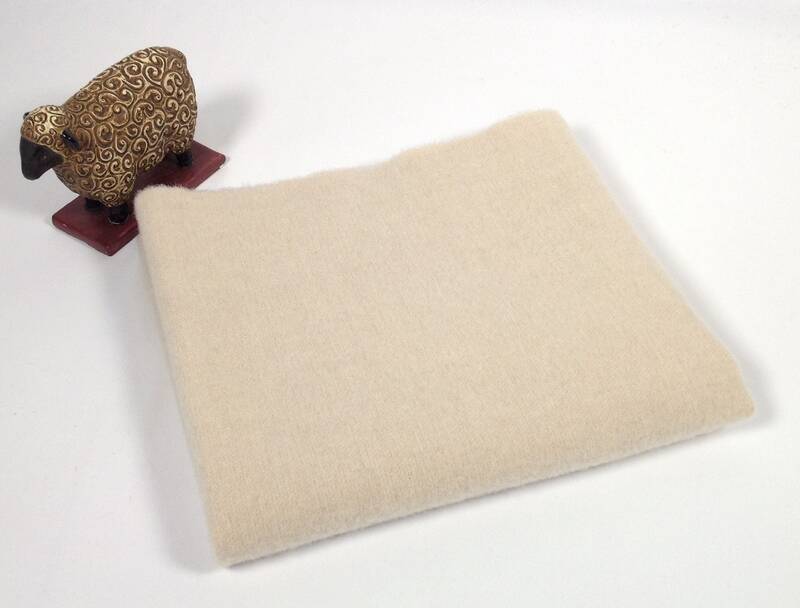 "Winter White" an off white, creamy natural is washed and dried and ready to use in rug hooking, applique, penny rugs, quilts, sewing projects and craft projects. In rug hooking, suitable for #7 cuts and wider. Photos taken in different lighting to show varied effects. You will love this wool! Use it for sheep, clouds, flowers, berries, and anywhere you need a soft off white, a mellow, creamy white. It has narrow narrow lines of textures to give it a wonderful feel. The feel and the quality of the wall is exceptional! Beautiful piece of wool. Very pleased.